February is the month made popular for Love by stories of Saint Valentine. Anglican, Lutheran and Orthodox Christians commemorate this Saint who was martyred on February 14, 269 CE. 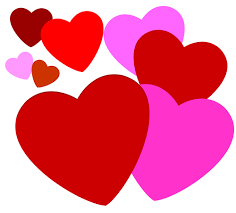 Valentine was a priest in Rome who was imprisoned for helping other persecuted Christians, offering consolation during those frightening times, when Christians were being imprisoned and martyred for their faith. Legend tells of a miracle performed by the imprisoned Valentine when he healed the blindness of the daughter of his jailer. It was much later that the feast of Saint Valentine became associated with romantic love, and now has grown in our days as a secular celebration complete with cards, gifts, and confections, losing its far more important aspect of faithfulness to the love and compassion known to us in Jesus. Valentine’s loving knew no borders in which he readily healed the blind girl’s sight even though she was the daughter of his jailer. We are living in troubling times where people are being targeted and persecuted for their faith. What the world needs is love and compassion to counteract fear and hate of those who seem different than us.